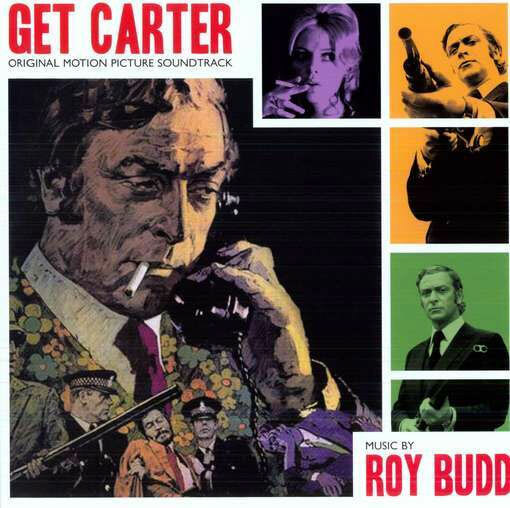 This is the original Roy Budd score to director Mike Hodges’ classic 1971 gangster film Get Carter . The film starred Michael Caine as a London gangster out for revenge in the derelict urban scenery of Newcastle. The iconic jazz soundtrack was written by the jazz prodigy Roy Budd who also performed the music with two other jazz musicians, Jeff Clyne and Chris Karan. Pianist Budd, drummer Chris Karan (also on evocative tabla,) and bassist Jeff Clyne (with guitarists Brian Daly and Judd Proctor) carry the emotional weight of the soundtrack which has inspired a number of covers and tributes. This Music on Vinyl revised edition is interspersed with snippets of dialogue including that classic and sample-inviting line by Caine, “You’re a big man but you’re in bad shape, for me it’s a full-time job. Now behave yourself”.